Together with quilting, I enjoy a lot knitting. This was in fact my first craft ability : I learnt knitting at the age of four. I had the example of my mother knitting all day long for my sister and me, and even for our dolls. She was doing wonderful creations. In the past I knitted for all the family, until my children became teenagers and decided that hand knitted pull-overs were not in fashion! 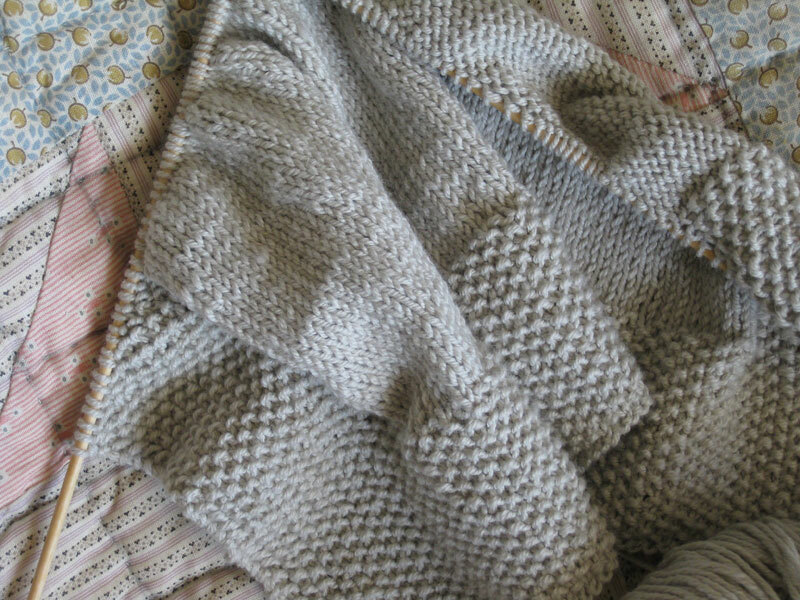 So now I take my grey yarn, my beautiful wooden needles and start a crib blanket for my grand-son to be born in December. This blanket will have a Liberty fabric lining (you can see it in the first two pictures). 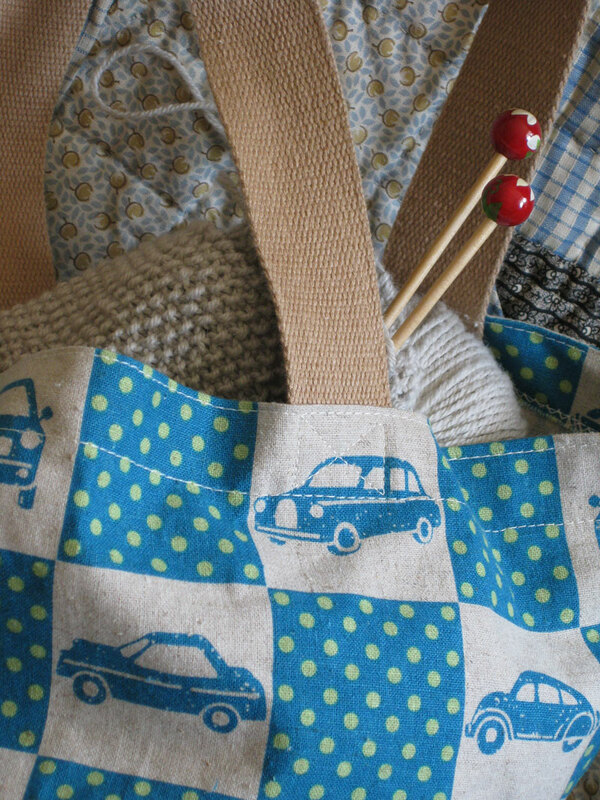 To put my work, I always search in my stash of hand made bags an assorted one. 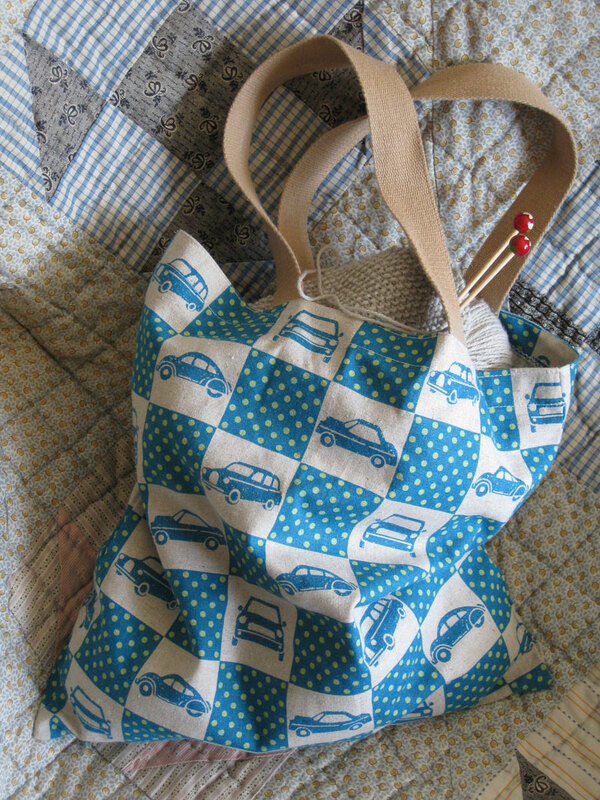 I had forgotten about this shopping bag I did some time ago, and I find it very cute (Echino fabric). The yarn is from Rowan, wool and cotton quality. On the background of the knitting you can see the antique quilt shown here. Exciting news about you new grandson coming! What a Christmas present! 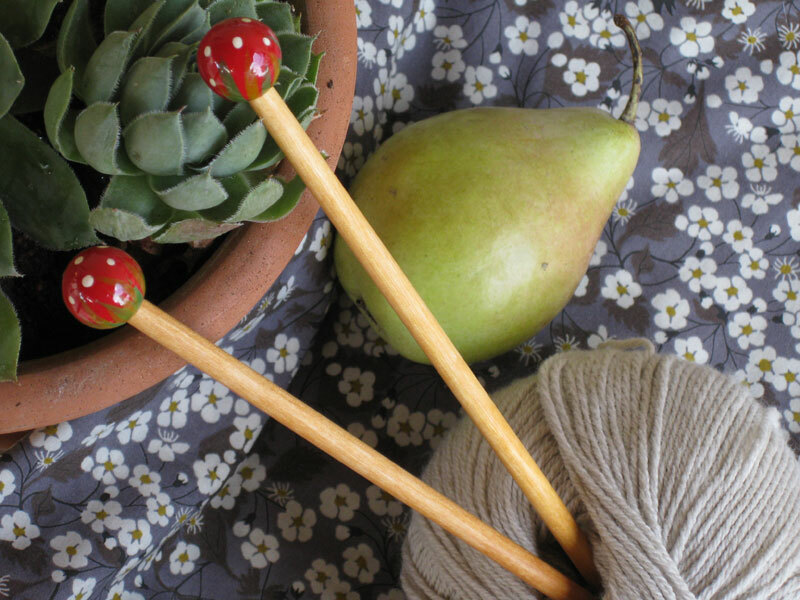 I can remember learning to knit with my mother too, but I don't knit so much anymore. Your blanket looks like it will be beautiful and soft. I'm interested to see how you line it. This is going to be a lovely blanket for your new grandson! 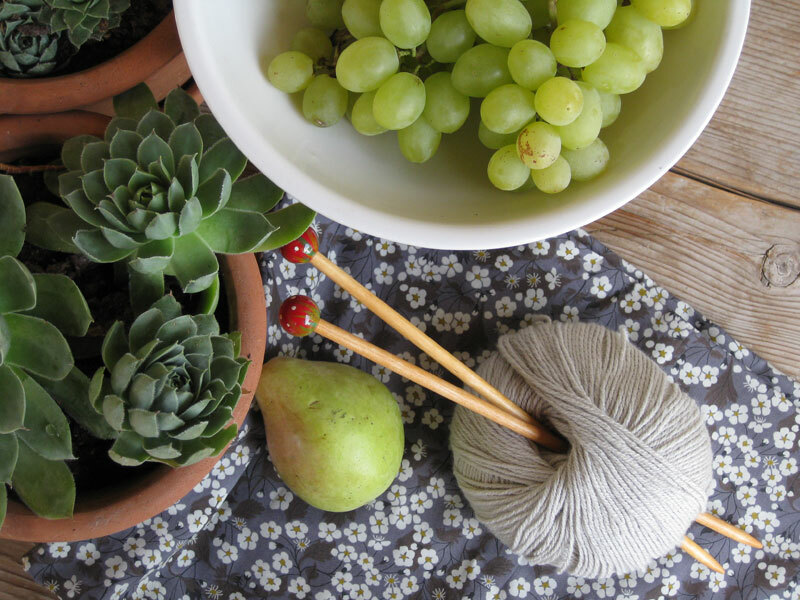 I am also a knitter, but I do not do as much as I used to. 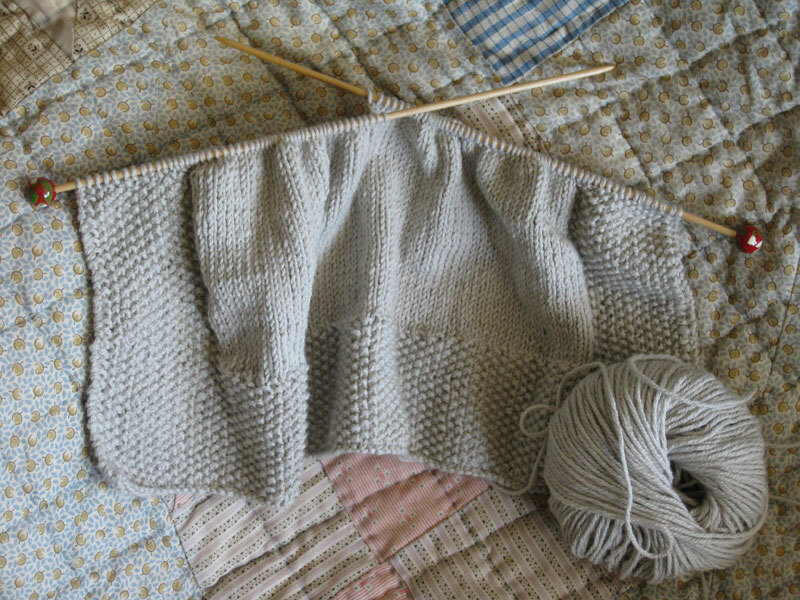 I am working on a winter hat for my husband right now. My mother was a fantastic knitter, she taught me. The knitting and the quilt are beautiful ! That quilt was a wonderful surprise indeed! Hello Christine, just stopping by the first time... what a lovely blog! Best wishes from Germany, Annett. What a beautiful blanket--I can feel the softness right through the photo. I also like your "still life" with yarn photo at the top. Beautiful blanket. Can't wait to see how you line it.